Boasting excellent service and attention to detail, Hotel Ercilla López de Haro offers renovated accommodation where the famous architect, Frank Gehry, drew his first sketches for the Guggenheim Museum. Each of the 48 boutique rooms features a modern design with distinctive touches to satisfy every taste and ensure an unforgettable stay. A complimentary Wi-Fi connection is also available. The Lounge was selected by Moët & Chandon as a benchmark for Möet in the north of Spain. A Murano glass chandelier and a red bar combine tradition and modernity, separating the two spaces: a classic pub with a fireplace and leather armchairs and a restaurant serving the finest Basque cuisine. Nestled alongside Hotel Ercilla López de Haro, the Oriental Spa is the perfect place to relax body and mind. Guests can achieve ultimate well-being with the Eastern-inspired treatments and classic Thai, Malaysian, Chinese, Japanese and Indonesian massages. 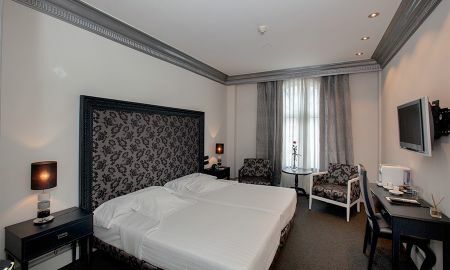 Tucked away in the centre of Bilbao, Hotel Ercilla López de Haro is only 300 metres from the Guggenheim Museum, and within easy access of the Zubizuri de Calatrava Bridge and the Gran Via. 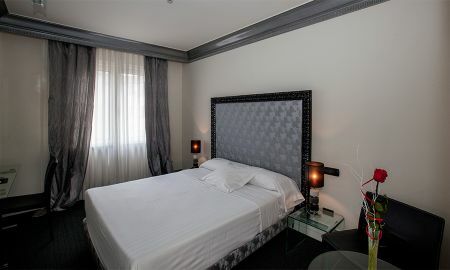 Guests are 200 metres from Abando Metro Station and 350 metres from Uribitarte Tram Station.